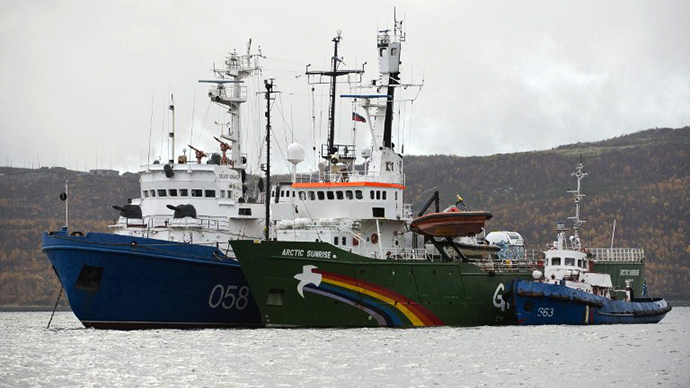 Narcotic substances, presumed to be poppy straw and morphine, have been confiscated from the Greenpeace ship Arctic Sunrise, a spokesman for the Russian Investigative Committee declared Wednesday. "The detectives and criminal experts jointly with specialists in concrete spheres are examining the documents, objects and equipment, which were confiscated during the search on board the ship Arctic Sunrise. They have already found that some part of confiscated equipment is of dual purpose and could have been used not only in ecological purposes," the Investigative Committee said. This will undergo specific legal expertise, which the detectives plan to conduct soon. “The origin of these substances and their purpose are being investigated as well," the statement said. Given this “new evidence,” the charges already brought against the 30 Greenpeace activists could be “modified,” the Investigation Committee said. Russian investigators will also charge some of the Arctic Sunrise crewmembers with further serious crimes, as they are suspected of ramming border guards’ boats, endangering the guards’ lives and health, the Investigative Committee’s statement said. We assume the Russian claims of drugs found on ship refer to the medical supplies we are obliged to carry under maritime law. Poppy straw, the husk left after the opium is extracted from the pods, is a raw material that can be used for illegally producing heroin or morphine. Recognized as a narcotic substance, the possession, sale, purchase or use of poppy straw without a license or authorization is against Russian law. “Before leaving Norway for the Russian Arctic, the ship was searched with a sniffer dog by the Norwegian authorities, as is standard. The laws in Norway are amongst the strictest in the world, and nothing was found because nothing illegal was on the ship,” Greenpeace said in a statement posted on its website. 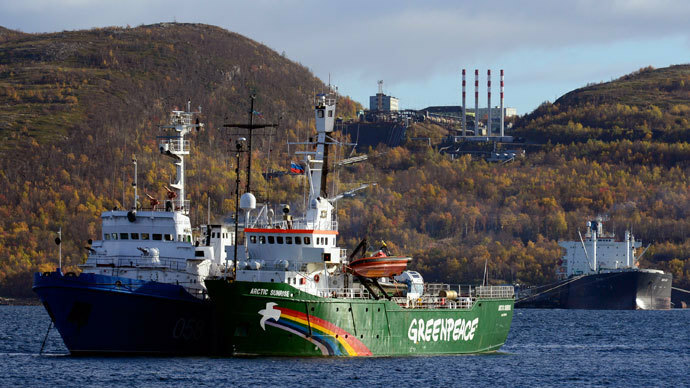 All 30 of the participants in the Greenpeace protest, from 18 different countries, are being held in pre-trial detention and last week were charged with piracy following their protest at Gazprom’s Prirazlomnaya oil platform earlier this month. 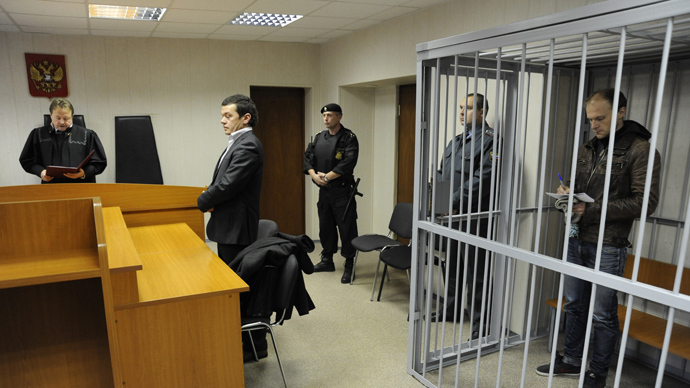 According to Russian law, the charge of piracy carries a maximum penalty of up to 15 years in prison. “I would of course be willing to meet you anywhere in the world, in a place of your choosing, but I ask that if possible our meeting is held at your earliest convenience in Russia,” Naidoo wrote in an open letter to Putin. The Greenpeace activists’ detention in Russia has sparked a massive reaction among the group’s supporters and human rights organizations. Greenpeace called a worldwide day of solidarity Saturday, with protests in 170 locations across 45 countries.